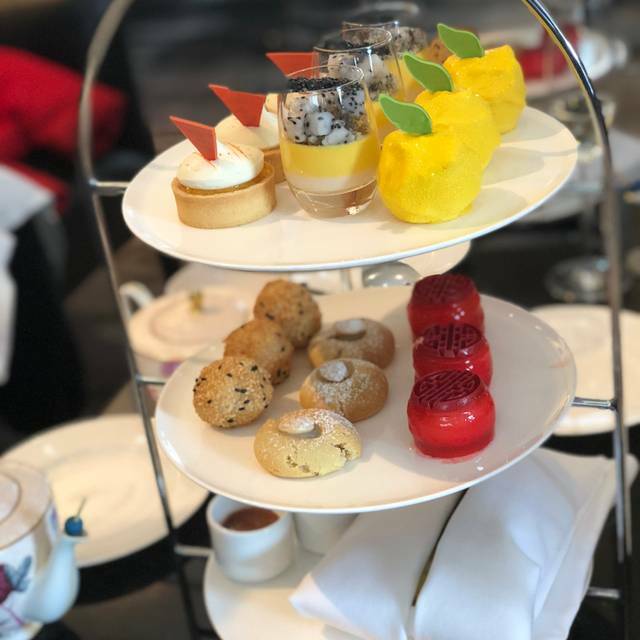 One of the most entertaining live music programs in the city starting daily 3-5pm with piano playing during afternoon tea service and followed throughout the evening with live performers. 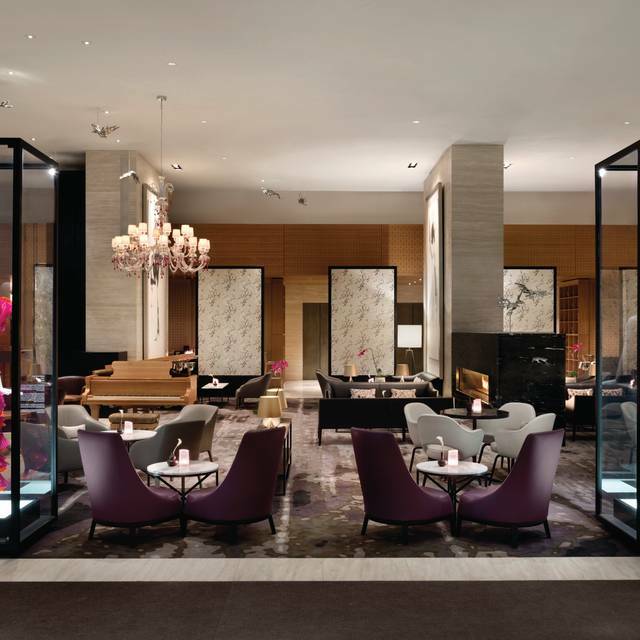 The Lobby Lounge is a destination where art and architecture are emphasized. Guests find themselves in the 90-seat Lobby Lounge – an urban living room – where natural light streams through two-storey windows highlighting large scale paintings, sculpture and an Italian handcrafted Fazioli piano set amid furniture vignettes in contemporary dove-grey leather sofas and chairs. Guests are invited to savour an Asian-inspired menu and select their favourite teas from a tea library which offers over 70 different choices. 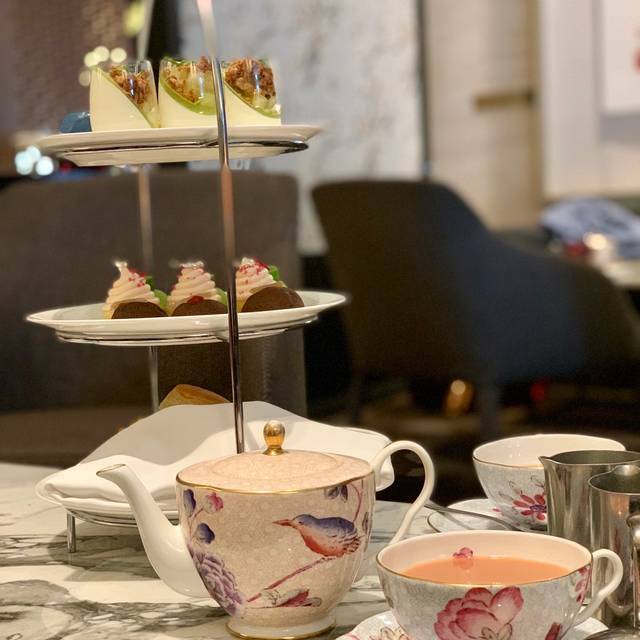 The daily Afternoon Tea service features live performances from award-winning pianist Thompson Egbo-Egbo, a recipient of the Duke of Edinburgh Gold Award in the province of Ontario. A five-volume compendium of wines, cocktails and spirits is also available. Be part of an unforgettable Lobby Lounge experience by planning your visit around the entertainment calendar. For more information, please contact the restaurant directly. My husband & I go there for afternoon tea about twice a year, each time visit has a different experience, I like they change their menu & food presentation from time to time. I would definitely go there again and would highly recommend it for afternoon tea experience. Understaffed and overrated. Everything looked pretty but tasted mediocre. At almost $100 per person, I expected better from the Shangri-La. Great location, view, live music, atmosphere, spread and amazing service by Tara and the team!! An exceptionally lovely Sunday Afternoon Tea experience, was had by my spouse and myself, at the Shangri-La Hotel. Truly, very highly recommend! We were warmly welcomed upon our arrival and soon after seated at a set table near the fireplace. Wonderful view of the pianist playing on the grand piano. Excellent ambiance with an elegant setting! 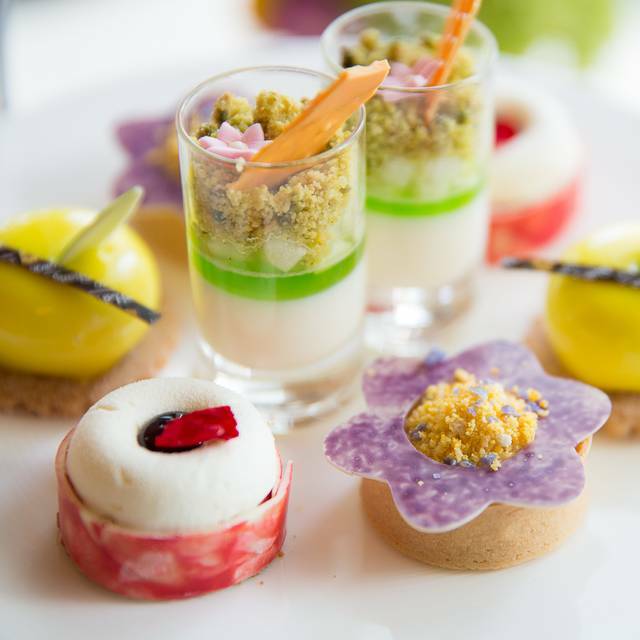 The current Botanical Afternoon Tea theme is such a highlight and not to be missed! 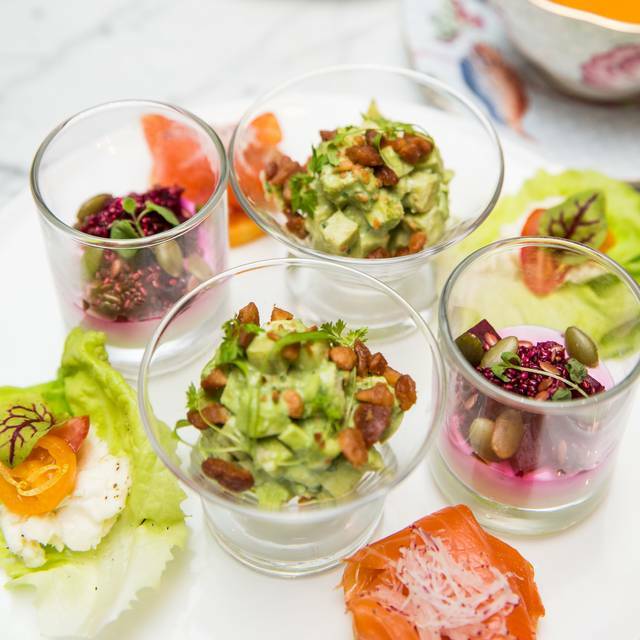 Decadent artisan sandwiches, Snow Maple Tea scones, incredible dessert delicacies were served attractively in tiered plates. We both highly recommend Honey Apple Nectar herbal tea as an accompaniment. Do enjoy the complementary Harmony Cocktail, made with Levenswater Gin! We both highly recommend that you make Reservations and enjoy this highly attentive and fabulous establishment! I would recommend Tea at the Shangri-La but only for a very special occasion as it is very expensive. It was lovely...however, the price of the tea should be included...we were surprised that we had to pay for the tea! Was very enjoyable. Great food and service and piano player in the background was perfect! Birthday treat for my niece. Good service and very delicious food. A very nice experience. Worth a try! It was an afternoon tea featuring the Chinese New Year menu. I just don’t find anything special with everything from the food presentation itself I already find it very ordinary. The taste of the food and the ambience is not something that I would be amaze of. Since I have been to a lot of afternoon teas in different countries as well I just didn’t find that Shangri-La Toronto did an amazing job on this. Overall it’s just fair. Absolutely amazing afternoon tea. Expensive but definitely worth the price. The quality of the food was outstanding and the ambience was increndible. Will definitely be back. I highly recommend here for a high tea . Service was good , food was perfect, also the champagne wine tasted great . Amazing first experience for High Tea and the service and food was outstanding! Definitely sets the bar high on our future standards for high tea/ afternoon tea. A wonderful experience! Prosecco was a lovely surprise! The ambience is nice here, which is why we returned for our Christmas tea gathering. I think our server was new so the service was not as good as you'd expect from a $75.00 tea menu. The food is more dessert oriented with a few savoury finger sandwiches and to be honest, we didn't really enjoy most of the desserts. That said, the ambience is nice and it's worth coming here at least once to see for yourself. For food, I prefer King Edward but for coziness, ambience (nice piano player), I enjoy the shangri-la hotel lobby. Lovely Xmas atmosphere. Fantastic service. The atmosphere was lovely - sat in front of the fireplace - very good service and great selection of decadent pastries and finger foods. Was a lovely light meal before the ballet. 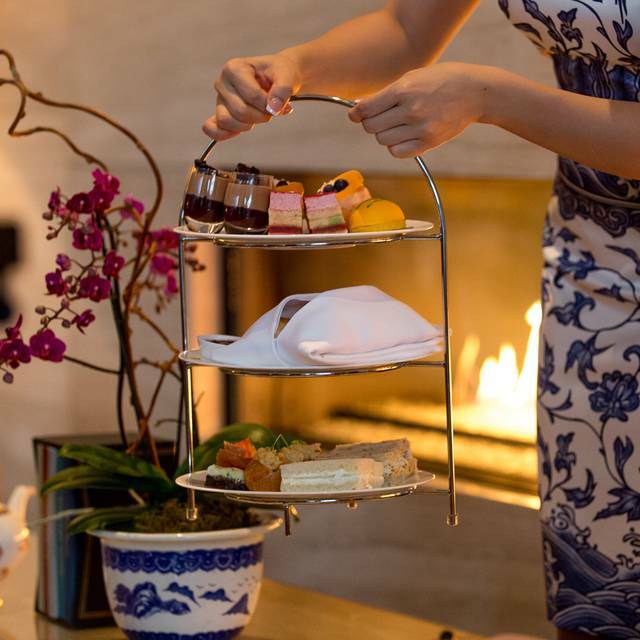 It was out first time having afternoon tea at the Shangri-La Toronto and it was fantastic. The hotel lobby is beautiful and the way they serve the tea is an amazing experience. Wonderful service and overall a great time. I brought my mom and sister here for their high tea (2-4pm). We were sat by the fireplace which was quite nice. The service is a little slow but we wanted to take our time with this so it was fine. We each grabbed different teas, the food that came was presented really well. The scones were super moist, soft and delicious! I'd go back there for the scones! The wait staff were very professional and friendly, they topped up our tea water and refreshed it for us near the end. We left very full and satisfied. Food was decent except the scone, not the right texture. Friendly service but not professional. Would not refuse to go again but not eager to go also. The staff were so friendly and knowledgable with the menu and especially with the tea selection! We thoroughly enjoyed our high tea! The egg and lobster sandwiches were original and the scones and pastries were divine. My mother and I came to Shangri-La for the high tea- we were seated on a comfy couch right next to a fireplace. The staff were lovely and friendly and the food was delicious. 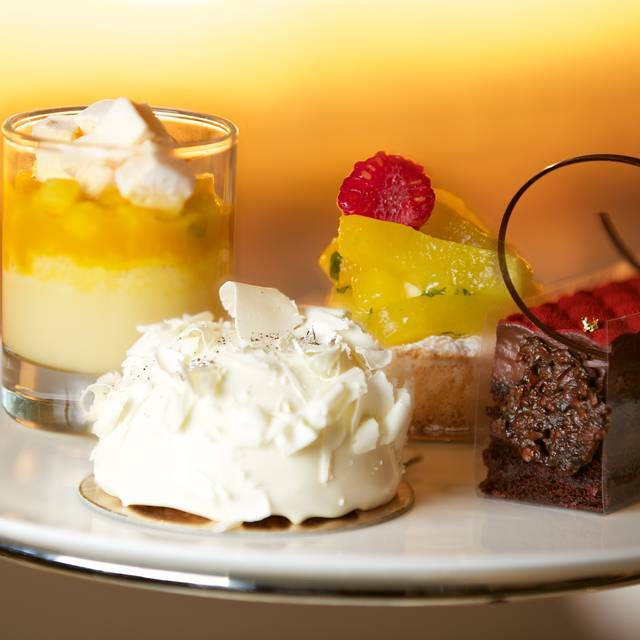 The tiered plates are full of tasty sandwiches, fresh scones and decadent desserts. We had the Irish Breakfast tea which was very very good. The lobby bar is frequented mostly by business people but we didn't feel out of place. Overall, great ambiance and great food - on the pricey side as you would expect - but worth it for a special afternoon! Had an amazing time! Food was impeccable. Service was perfect. Pleasant staff. Can't wait to return for High Tea in the summer. Was neat being able to experience the Chinese New Year. We went to The Lobby Lounge for high tea/afternoon tea on a Sunday. The area is very open and it is in the main lobby of the hotel so you will see guests come in and out of the hotel. The service was superb! Our server was very attentive and provided great suggestions. The tea was average and we found out we could get the tea at the local tea shops. The food was a disappointment, Nothing special. A little bland and we were expecting smoked salmon or some better deserts. Overall, it was a good experience but I don't think I would go back for high tea, unless it was free. Can't wait to come back again! High tea was just perfectly done! Delicious, fancy, I can't say enough about it! And the table that was reserved for us was beautiful, it was a special occasion and you exceeded my expectations! Thank you! I booked a reservation for the lounge in early November for the special Christmas Afternoon Tea in December. First of all, it was hard to find a decent time slot especially on a weekend, so my friend and I decided on New Year's Eve. Next year, we'll plan a bit earlier but will probably choose a different restaurant for Christmas afternoon tea. The special Christmas Afternoon Tea menu was presented rather cute but overall the taste was average. I wouldn't say it's very Christmas-y theme except for the desserts (e.g. cake shaped like a mini Christmas tea that was mint flavoured and dark chocolate ganache inside). Tea selection was overwhelming and some may cost more than the included standard afternoon fixed tea price (e.g. anything over $16+ will cost more). The way it is designed is rather poorly for newcomers to the lounge. When you enter through main entrance on University Avenue, the booth is on the opposite side of the room. You'd end up circling around all of the lounges and tables until you ask someone (most likely the office/check-in hotel room) for assistance. My friend and I was not particularly fond of the seating arrangements. Due to the fact that the tables are low like coffee tables while the couches are standard height. It's rather awkward when you're trying to enjoy afternoon tea but need to bend over every time you want to eat. If you have a bad back/neck, I would recommend avoiding this place unless you'd like to eat with a plate in your lap. Since we booked this on NYE, winter was full-on and very cold. Every time the doors (main entrance on University and/or sliding doors for drop-off/pick-up) opened, we would get a cold draft and freeze. Fortunately, the tea were not affected by the cold air but I ended up putting on my coat to be used as a blanket. There are very few place to celebrate Christmas over High Tea. So we were delighted to find another option in Toronto. High Tea is an annual Christmas tradition for our group and this was our second year at Shangri-La. The scones were light and the sweets were delicious. They don't serve clotted cream - a disappointment but not deal-breaker. They can also accommodate food preferences and allergens. The tea selection was expansive and our group of six was happy with their selections. The downfall of the experience was the service. We were sat 20 minutes after our reservation time. While waiting in the bar we began with a bottle of champagne as our other guests arrived. When we moved to the table it took 15 minutes to get someones attention for additional glasses. The table was set for six, with four of us sharing a sofa, this was uncomfortable and when we asked for an extra chair we were told there was a shortage but they were able to find one. Overall, the service was inattentive. The servers were friendly, knowledgeable and able to answer our questions. There was a shortage of menus and we had to share one tea list between the six of us. 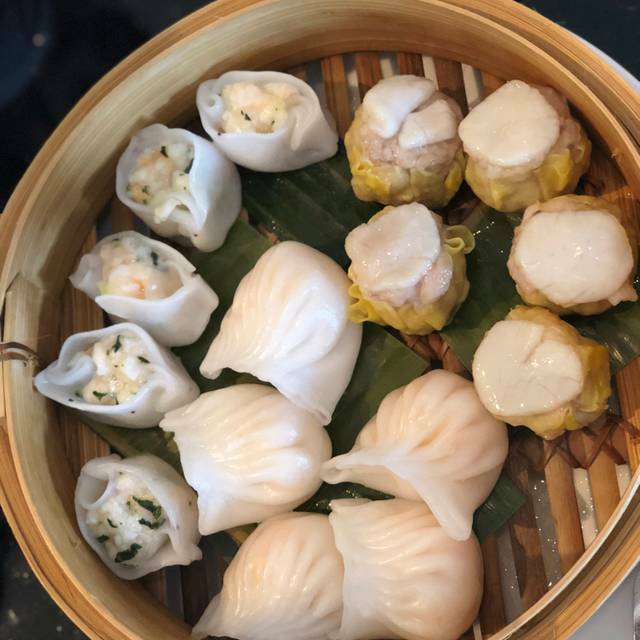 The menu was not explained to us and when the bill arrived there was $60 in surcharges because we had ordered premium teas. I like the atmosphere a lot - this alone would bring me back. We had a late afternoon reservation and noise levels did increase as the lights dimmed as they lobby transitions smoothly from afternoon tea to early evening cocktails. The jury is out on whether we would return for Afternoon Tea. Incredible assortment of teas to choose from (over 800). Beautiful sandwiches, scones and desserts. Amazing atmosphere, especially if you're lucky enough to snag one a table next to the fireplace. Enjoy! seat was too close to outside door, froze everytime it opened. No where else to move us to. Service was slow and we expected the food items to be more holiday themed. Disappointed. I'd love to come here next time. The service and food are very qualified. I would recommend to my friends for sure. I've been to high tea/afternoon tea before and I wanted two of my friends to try it out for the first time. 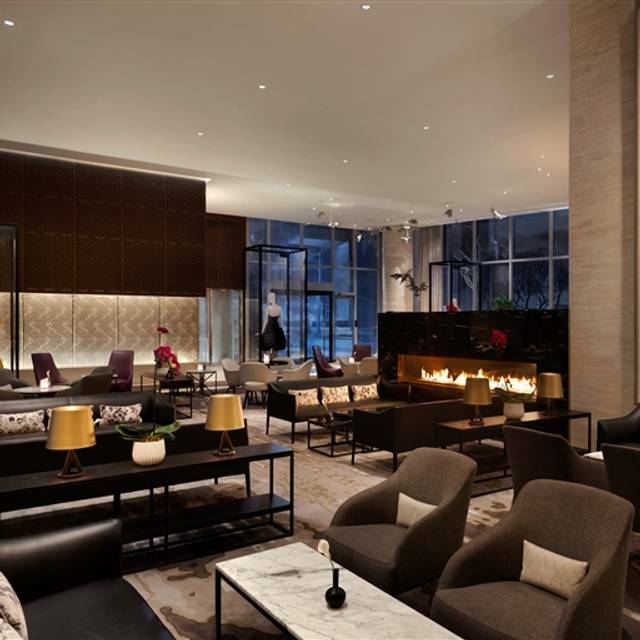 I researched and looked at countless reviews before I chose the Shangri-La and we were not disappointed in our choice. One of my friends was vegan and we were so glad that the Lobby Lounge provides vegan options for the menu. Everything was wonderful and my friends loved it so much and want to go back again! Adrianne I believe was the name of the hostess who helped us and she was very attentive and courteous. We can't wait to come back! Trendy for the moment. Nothing special. Worth visiting once, just to say you did. My friend and I were looking for a new experience to celebrate her birthday. We decided to try out the high tea service. The atmosphere was great and the pianist made it even better! Great selection of teas, delicious foodfingers and desserts. A must try! The afternoon tea at the Lobby Lounge was very enjoyable and relaxing. It has a huge selection of teas and the sandwiches and desserts were delcious. However, the scones tasted more like muffins instead but the clotted cream and jam were ok.
Our group has enjoyed High Tea/Afternoon Tea around the city. We've tried The King Edward Hotel, The Windsor Arms and The Royal York. The Shangri-La tea ranks at the lower end. They served 6 desserts for 3 people but 2 of one kind, 2 of another and 1 each of two others. That meant that three people were expected to cut up little desserts into 3 pieces. Totally unacceptable. Two of the desserts came in shot glasses so people would have to eat out of the same glass. The bread was wet on some of the sandwiches. I had to ask for more hot water for my teapot. There was one tiny dish of devonshire cream for six scones. The only saving grace was that there was a musician singing in the lobby who was fantastic. I would go again to see him. Service was very friendly and professional. Staff's recommendations were exactly as described and enjoyed by our group. Good atmosphere, not-too-formal afternoon tea experience which was great for our first time to tea.